Pandai Sikek village is 13 km south of Bukit Tinggi and famous for its hand woving and carving industry. 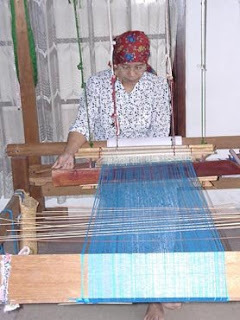 The village has a thousand of looms and turning out richly colored cloth. Carved wooden ornaments and furniture also made here.